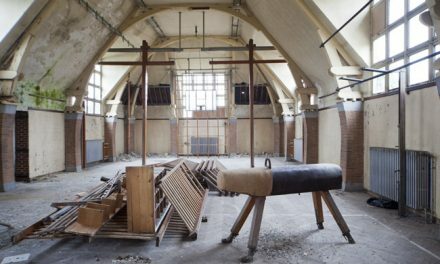 I recently came back from an incredible urbex trip around United Kingdom. Four days and five people, two from Norway and the rest from England. We drove over 1000 miles (175 mil) and visited 10 fantastic locations. Great many thanks to our hosts who showed us the spots and were able to get us in when it looked impossible. 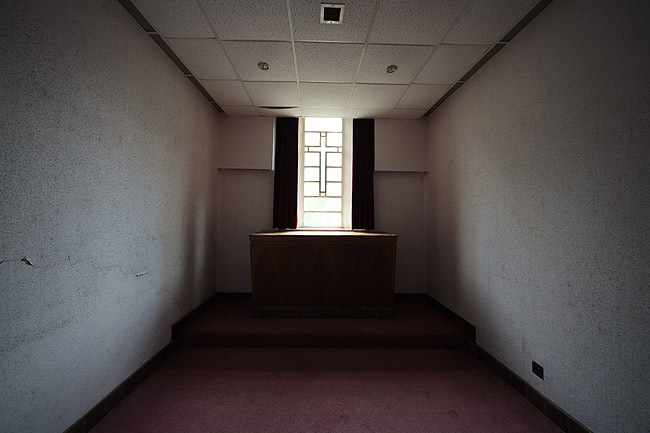 This is the first location, a quick stop at an abandoned morgue next to a large hospital. 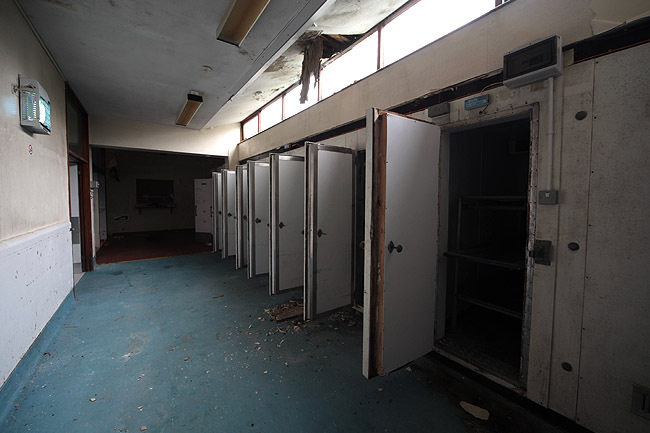 The morgue was closed in 2009 and the services moved to a larger, newer facility. There was a large CCTV camera pointing straight at the entry point so we had to be quick. 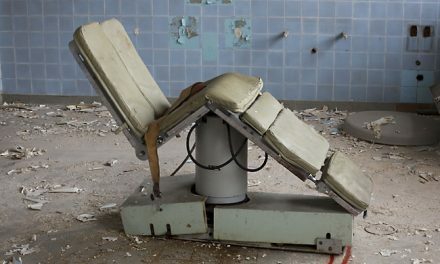 It was a strange place to be. 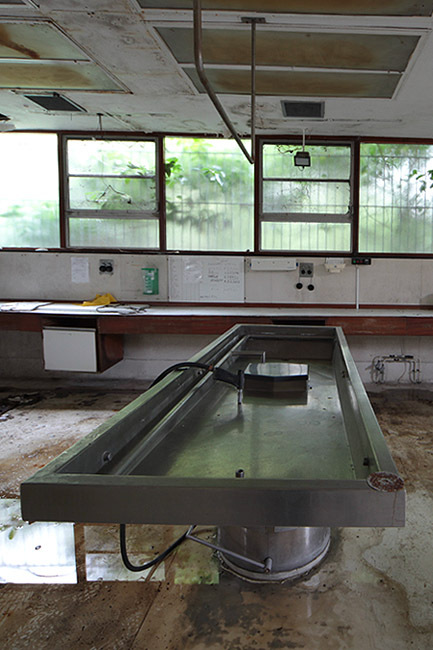 My first real abandoned morgue. 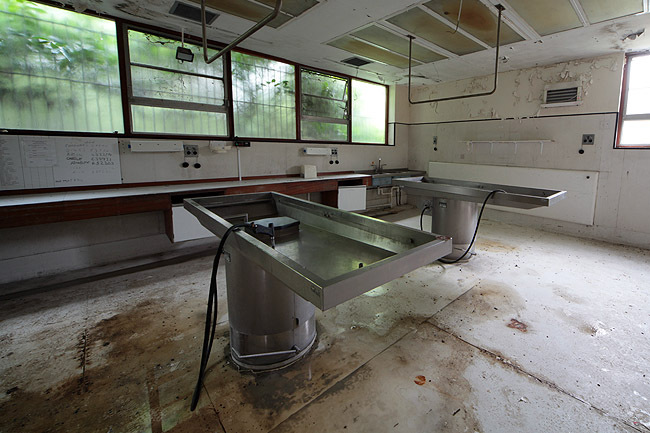 In the autopsy room there were room for three slabs, but one of them is gone now. 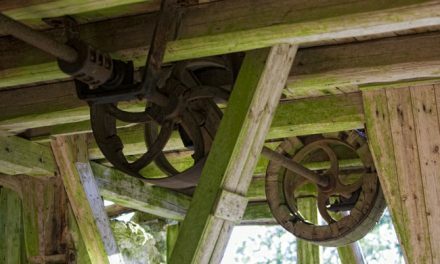 The tools were still working, there where water in the cranes. 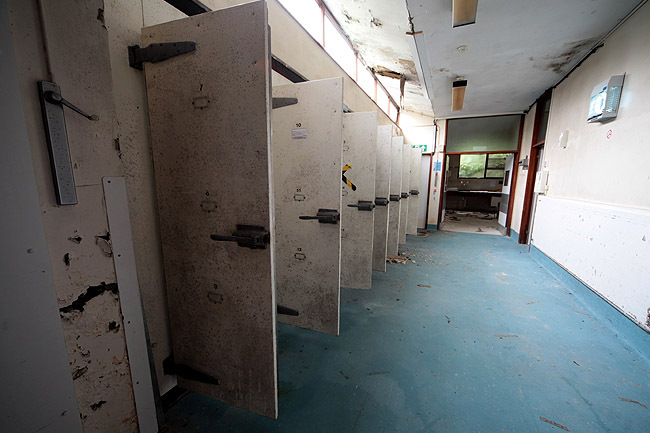 In the other end there was a small empty chapel, and in the middle the body fridges in a row. I got an eerie feeling just by being here. A fly killing apparatus with blue light was still turned on. Why were the power still on I wondered. Okey, time to leave. My first morgue, swift and easy. 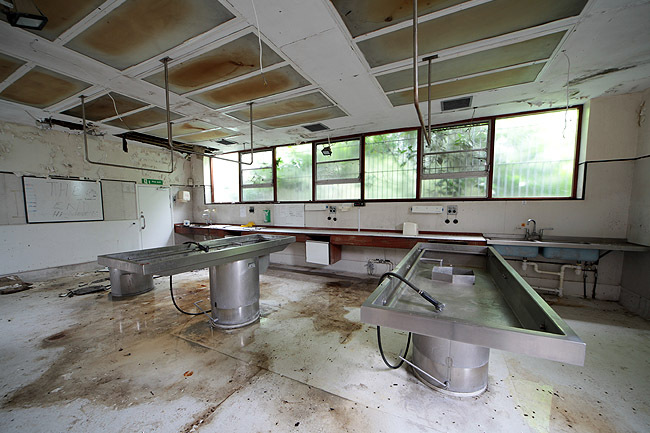 The autopsy room with two of three slabs intact . 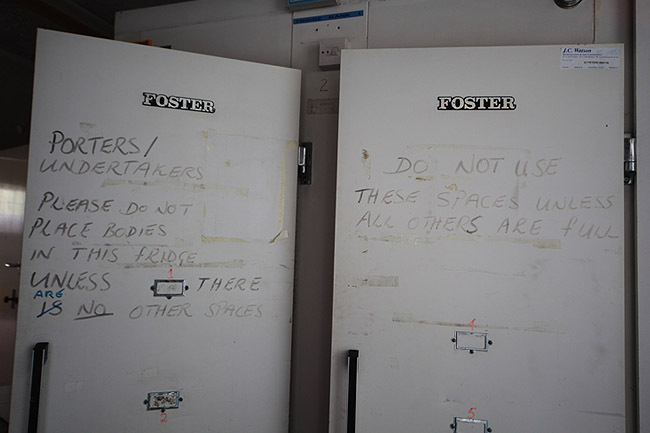 The row of open body fridges. Kind of creepy message on the door… No wonder they moved to a bigger location. 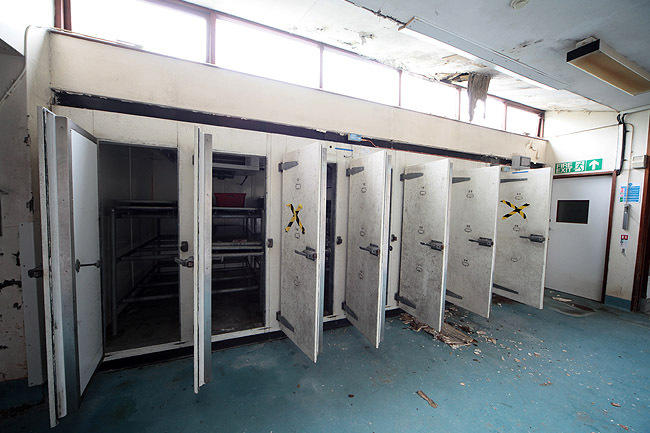 Another angle of the fridges. The nice window in the small silent chapel. Yet another shot of the corridor. Notice the fly killing thing on the wall.